Do the light fixtures throughout your house look old and drab? Do the walkways around your home seem very dark and dangerous at night? Are you thinking about selling your home and want to make it look as good as possible for a little as possible? Is the lighting so bad inside your bathroom that sometimes it looks like someone may be watching? If any of these fit your situation then new beautiful affordable light fixtures are what you need. If you are wanting to update those old and tired looking fixtures now is the time. With people not buying as much as they used to business are offering great deals on amazing lighting fixtures. 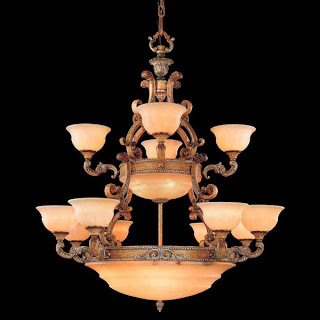 You can get gorgeous chandeliers, to add some class to any room. If that one unit which is a light, or heat lamp rather, and an exhaust fan making your bathroom stink? Think about adding a row of lights to the room that spend almost as much time in as your bedroom. In any case upgraded home lighting will add some spice and make it more comfortable to be in at any time of day. Selling your home and want to do some quick and affordable updates to make I sell more quickly to avoid the next months payment. Think about swapping out all of the not so appealing light fixtures with new ones, and you might even consider adding some ceiling fan fixtures to make it more appealing to potential buyers. Consider adding lighting to the walkway up to front door to add some class to the front yard, and light up those buyers’ eyes and their wallets. Personally, new and beautiful light fixtures give the home more character and feel more like a home and not a house.